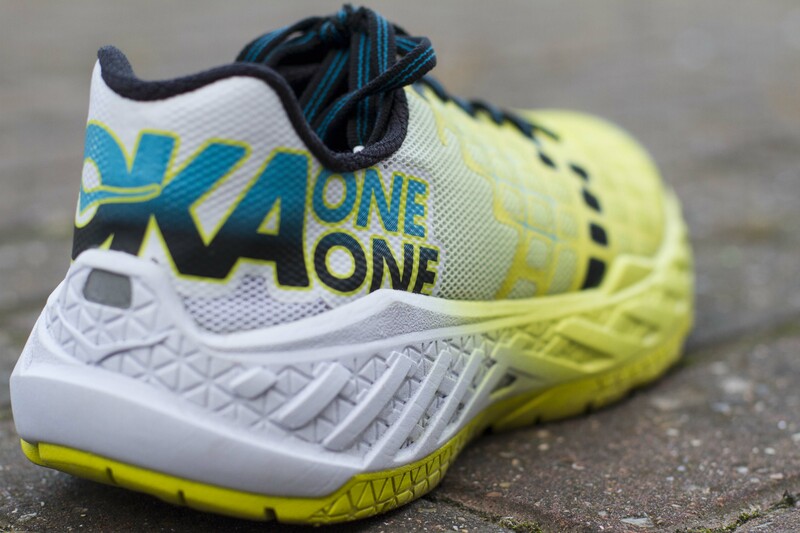 The Clayton is Hoka One One’s premier road offering for 2016. Could this be third time lucky after a tricky relationship so far? As many will be aware, this is the third Hoka that has fallen into my hands and my feelings have been mixed. The Speedgoat had a midsole that felt a little sloppy, and despite having its advantages on flats and ascents, I couldn’t trust it when things got technical. The Clifton was more to my taste. A firmer and more predictable midsole, combined with a platform that didn’t encourage slight pronation. (Remember to take this with an advisory – I have a neutral gait, with a slight pronation. These are my personal experiences and I know many people who love these and other shoes). And now there is the Clayton. So, for me the Clayton is a shoe I was a little underwhelmed by when I first saw it at the London Marathon Expo. 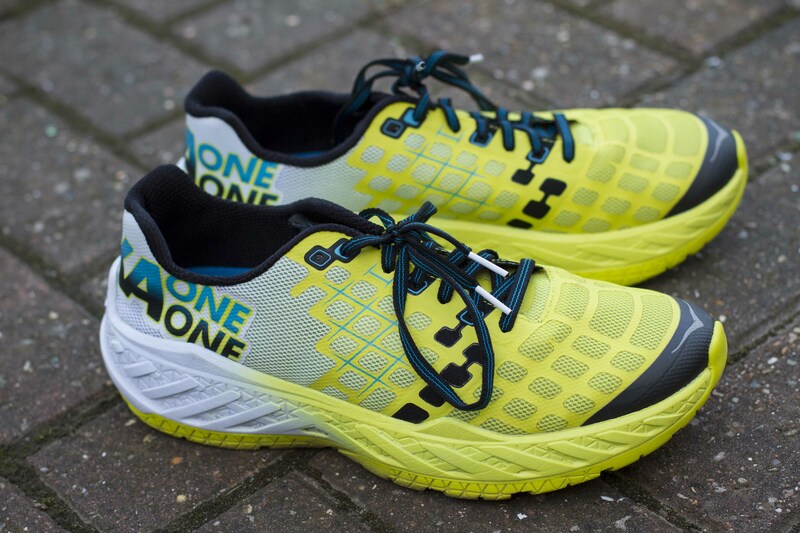 With a bright welcoming stand, the entire Hoka One One team were stood in the brand’s premier road offering. But it was the Tracer that caught my eye, for it’s low profile, racing flat styling. However, as soon will become apparent, I was pleasantly surprised. The Clayton is light, 244g for a men’s UK10 (independently tested) and the combination of a large feather light sole, only makes the shoe feel lighter. It’s deceptive and probably Hoka’s greatest trick that is still very hard to truly explain. 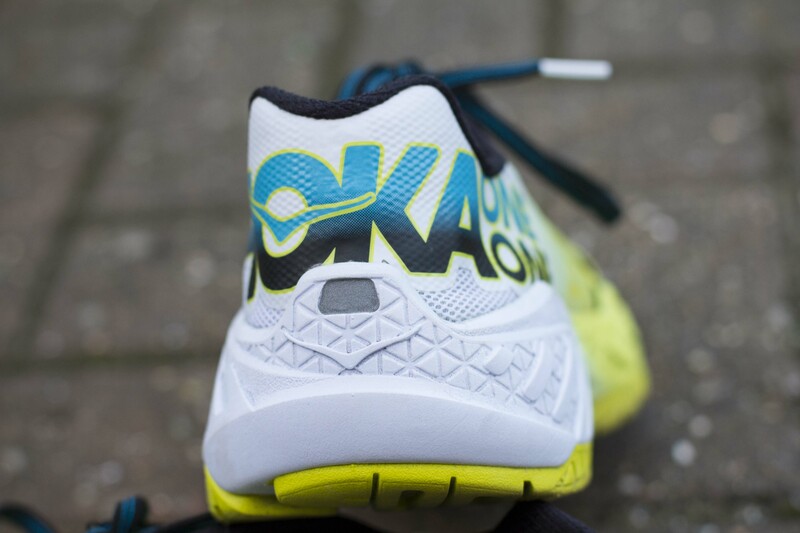 The sole is the big claim “Never has a shoe from HOKA ONE ONE been this protected and this light until now.” But is it true? The midsole is constructed from PRO2LITE +10, which they say deliverers a unique balance of PROpulsion and PROtection. This is a achieved by incorporating a softer heel for cushioning when heading downhill, when you’re tired or when you’re towards then end of the session and form isn’t quite so efficient. The heel is soft, but not as soft as you may be expecting from the description. It has enough give, without being a speed trap, nor does it leave your foot feeling unsupported. The firmer forefoot does encourage speed and despite the shoes large appearance, I’ve had no problem running speed or hill sessions. 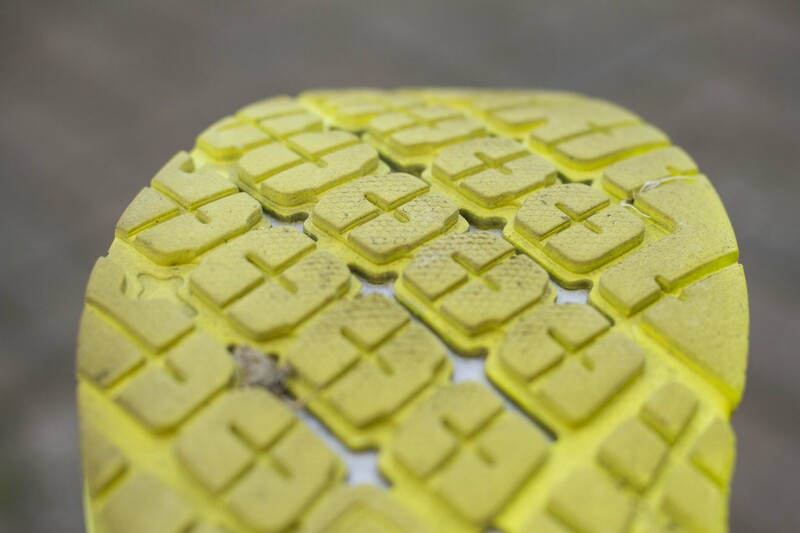 The outsole features a full RMAT® covering, which has faired well on pavements, despite all the suspicious coatings they often wear. Traction is good, though I am starting to see the first signs of wear around the 50 mile mark on the extreme edges of the lateral side. Other technology, the most striking feature is the flexibility. Yes, you cant role it into a tube like some competitors, but it isn’t a solid block of airy foam. It really does flex with your foot as you run and due to the Early Stage Meta Rocker, it springs back into its natural form, propelling you along. Looks can be deceptive and I think the Clayton is just that. My understanding of what a Hoka shoe feels like and can do, has been turned upside down since having the Clayton on test. 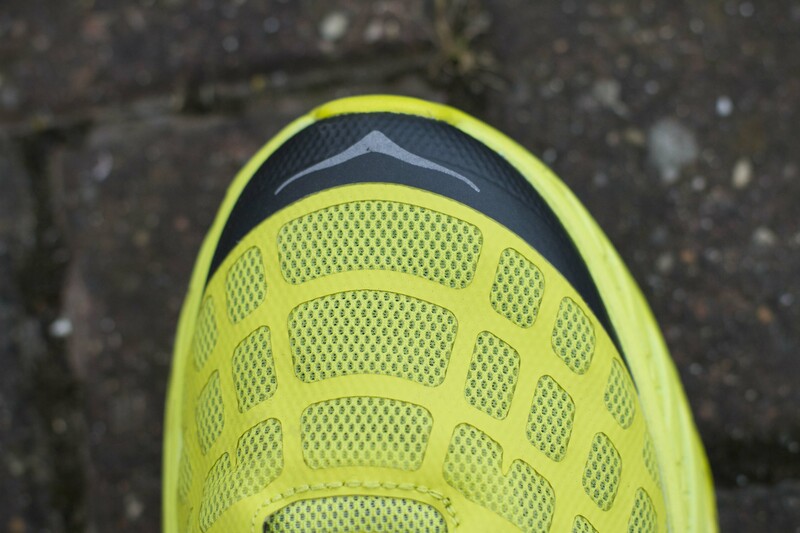 Moving up, the heel drop is 4mm, with a 24-20mm variance. I have clearly made it known, for longer distances, a large drop suits me more and on the whole I stay true to this. Yet, with a combination of good support, despite being a neutral shoe, and the cushion beneath, I found my foot doesn’t tire out as quickly as a traditional 4mm drop shoe. As it may be apparent, I’m having to eat a lot of my own words thus far….. But, I still stand true that unless you are used to a low drop shoe, make a gradual change to the lower profile. Jumping in could cause injury and time off running. With a sturdy platform to place your foot on, comes a feature a lot of runners have been asking for. A wide toe box. 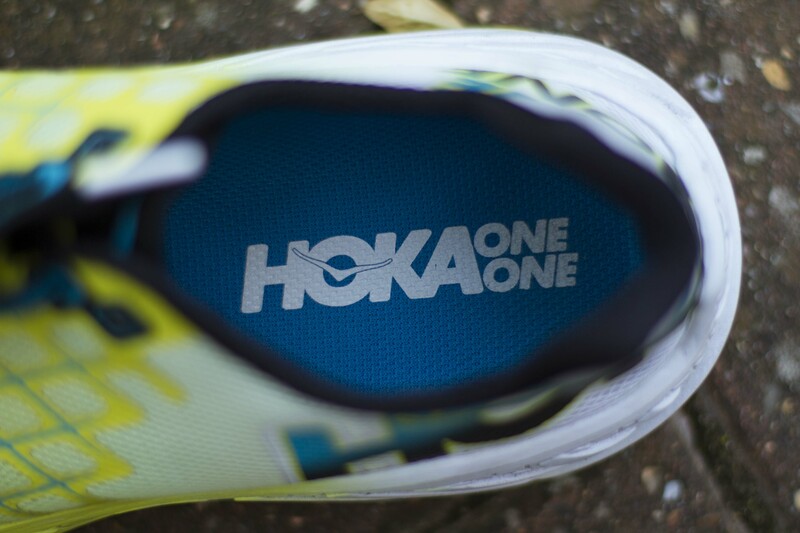 Yes, that is correct, Hoka have added a wide toe box to the Clayton, which means this could be used over much greater distances on hard packed trails if you so wish. I am pretty sure I’ve witnessed Hoka Ultra Elites doing just that this year. I have to say the toe box is just right, it provides enough room to properly splay your toes, without being oversized, sloppy and leaving your toes cast a drift. The Heel cup is more like wearing a sock than a shoe. It is very thin, forms around the contours of your ankle and despite not having a large collar, is comfortable. I would go as far as to say unnoticed. It’s stealthy. And so to the upper. 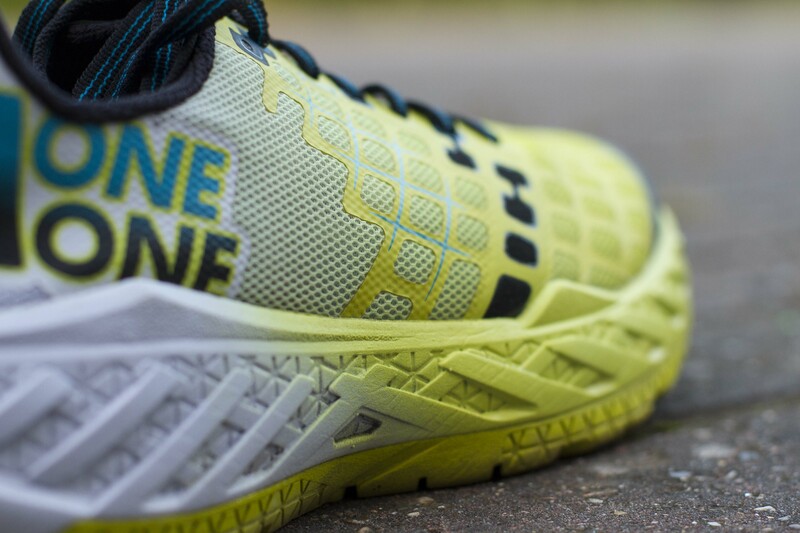 Hoka One One call it a “lightweight, No-Sew, TPU Lattice providing forefoot support.” I call it witchcraft. For something with literally no seams, bar the tongue, and no rigid welded overlays or supporting items, it’s the comfiest, lightest upper I believe I have worn to date. In many ways it is like the heel cup, it goes unnoticed. I like a close tight fit across the lateral side of my midfoot and the Clayton achieves this without bulk or excess. To top this off, the laces need little adjustment to find the perfect fit for me and they stay secure. Looks wise, it’s a bold shoe, with the block colour fade. I like it and it screams road speed to me (I’d love to hear your own thoughts). Build quality is good, though I will keep an eye on the outsole. Given I am starting to see wear, it will be interesting to see how this holds up over more miles. As for the price, its £120 which may put it out the reach of some. If it holds up on the outsole and the midsole delivers over the life span, it promises lots. 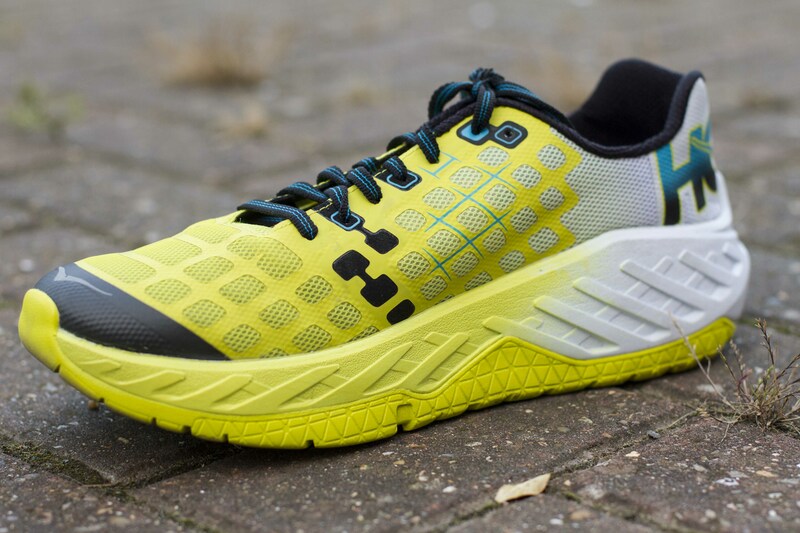 You saw it here first, I have found a Hoka One One shoe I actively want to run in. When I first tried the Speedgoat, I did think I would have a love hate relationship with the Hoka’s, however the 2016 range appear to be more refined and are becoming fine tuned instruments.